I was recently asked for advice on how to start writing. After thinking about it, I realized that I did have something to offer on the topic. I thought, “Why not?” I have a pretty interesting story and while I am a realist, perhaps I could share a tip or two. So as to not overwhelm anyone, I will start slow and over the course of the next month or so, I’ll share my experiences and hopefully something of what I have to say will be of inspiration to those of you who want to endeavor in the field. There won’t be any pop quizzes, but be prepared for homework! 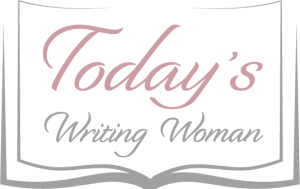 On April 23, 2010, I took a huge leap of faith and started my writing journey. Faced with a growing loss in hours from my day job, my naive self decided to pursue not a dream, but an unrequited passion held secret for a long time. For you see, I had spent my entire life silently preparing for this moment. I did not major in English, Journalism or anything related to writing. What I had was a love for books. Having read everything and anything since I was a child, I knew what sounded good on paper and what didn’t. I spent a lot of time writing in my head and needed an outlet to get it out onto paper. My thoughts were bursting to be released, and the timing could not have been more perfect. Truth be told, the words had been been stuck up there for a long time because I spent my entire life writing for others. During my administrative career, no matter the job I held, I always ended up doing a lot of writing. It seemed inevitable that when a boss found out how well I wrote, the more I ended up writing for work both from scratch and fixing the writing mistakes of others. Not wanting to waste any more time, I took those days off from work, and parlayed them into writing for myself. Anything was better than feeling sorry for myself for the loss of work and playing Farmville all day long. So the first thing I did, and I highly recommend it to anyone just starting out, was start a blog. I knew it didn’t need to be fancy, and I was pretty much a “novice” when it came to this stuff anyway. Therefore, I chose a free online platform called Blogger, because I just wanted to write and Blogger fit the bill. I wrote about everything and anything. I even started a Book Club. Now you’re probably wondering why I didn’t just use Word or other software to do my writing. I thought about it, but if I was going to do anything “real” with it, I needed to have an online presence. At the time, using Blogger gave me that pathway. Remember, I was a just starting out, and completely behind the eight ball at the time. Nowadays, there are numerous other online platforms, both free and those you can pay for that offer more than what I had in the beginning. Eight plus years have passed since that first blog posting. Today I have a full-blown website. If I were to offer any words of wisdom for the beginning writer, it would be to to keep it small and manageable. Do your research on the internet, and pick the best platform option for yourself. Get it set up to begin your first post, and then start getting the thoughts in your head down on the page. Don’t worry about how it looks at first. Just start typing. Save often (I can’t stress that enough!) and then hit publish button. Don’t panic when you do that! Most platforms have a Visibility Mode that allows for your privacy to be switched off/on as you deem fit. If you’re not ready to show your work to the world, no worries…just click on the Private button. Your work becomes “for your eyes only” until you are ready to share it publicly. Like any good teacher, I have to give out some homework. Your first assignment is to research and find a blogging platform. Get it set up, and start a least one posting. Meet me back here next week for the next installment in my “How to Start Writing” series.